Suspended chief magistrate Mishrod Guvamombe, who is facing criminal abuse of office charges, will stand trial on April 9 at the Harare Magistrates' Court. Guvamombe yesterday appeared before regional magistrate Ms Lucy Mungwari, who advised him of his trial date. He allegedly offered work-related attachment to former Cabinet ministers Saviour Kasukuwere and Supa Mandiwandira at the Harare Magistrates' Court where they are appearing on criminal charges. 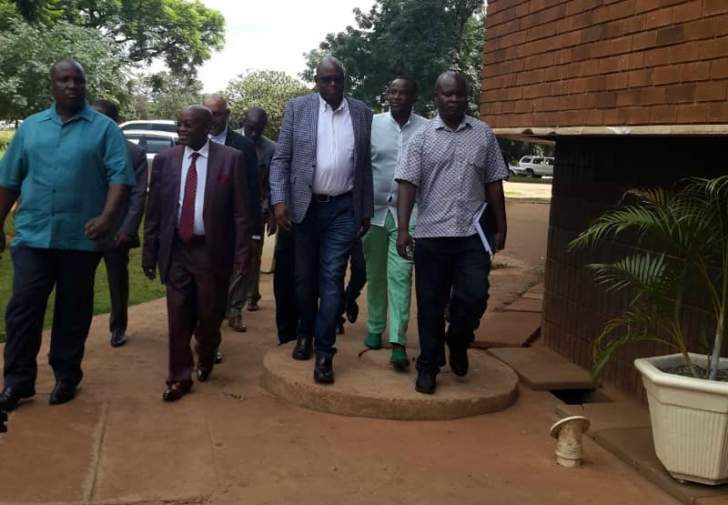 Through his lawyer Mr Jonathan Samukange, Guvamombe notified the court that he was going to make an application on that date for referral of the case to the High Court for trial. "The nature of my application is based on the fact that Mr Guvamombe is the chief magistrate of Zimbabwe and it is unthinkable that he should be tried by any of his juniors," said Mr Samukange. "My proposal is that the State concedes to the application and that he is tried by a High Court judge." Mr Samukange indicated to the court that they intended to make an application for relaxation of bail conditions. When he initially appeared in court, Guvamombe was ordered to report four times a week to the police and not to travel 50 kilometres outside Harare. Mr Samukange said in his application that he is going to seek for the scrapping of the travelling restrictions and to have reporting conditions relaxed. Prosecutor Mr Sebastian Mutizirwa, who was standing in for Mr Zivanai Macharaga, who is dealing with the matter, proposed to have the matter rolled over to tomorrow when Mr Macharaga would be available. The defence consented to the postponement of the matter to tomorrow. Charges against Guvamombe arose on November 27 last year when he received correspondence from the University of Zimbabwe (UZ) seeking internship places for law students. On the list were Kasukuwere and Mandiwanzira. Guvamombe allegedly authorised the attachment of the students by appending his signature and referred the correspondence to the deputy chief magistrate for action without any comments or reservations.